Cast From An Actual Human Specimen. We offer the most accurate model available, with a realism that can't be matched by a sculpted model. 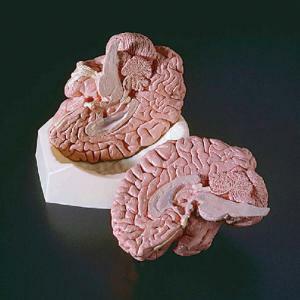 Our Life-size brain model is cast from a real human brain, displaying over 75 anatomical details, including all the cranial nerves. In addition, it is bisected to display all the major interior structures.